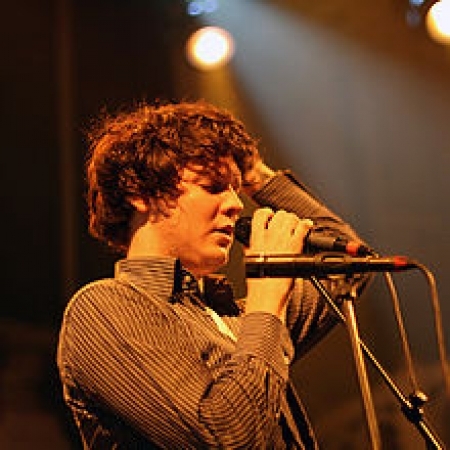 Beirut is an American band which was originally the solo musical project of Santa Fe native Zachary Francis Condon, and later expanded into a band. The band's first performances were in Wollaston, United Kingdom, in May 2006, to support the release of their debut album,Gulag Orkestar. The music combines elements of Eastern European and Balkan folk with Western pop music, fusing the American mainstream and indie-rock culture and the World Music market. Zach Condon was born in Santa Fe, New Mexico on February 13, 1986. He was brought up in Newport News, Virginia before moving back to New Mexico. Zach played trumpet in a jazz band as a teenager and cites jazz as a major influence. Condon attended Santa Fe High School, where he was a student until he dropped out at the age of 16. He later enrolled in community college, but only attended for a short period before traveling to Europe at the age of 17 with his older brother, Ryan. There, he became aware of Balkan folk music, most notably that of Goran Bregović and Boban Marković. This discovery and Condon's subsequent exploration of world music proved to be instrumental in the development of Beirut's melodic sound. Zach's musical legacy has also stemmed to his younger brother Ross Condon, who plays in the Brooklyn based band Total Slacker.